He studied at the fine arts school in Teheran whilst making ends meet as a graphic designer, poster illustrator and commercial ad director. In 1969, he founded the Cinema Department of the Institute for the Intellectual Development of Children & Young Adults, which is also where he directed his first short films. Being an active director since then, he became one of the outstanding personalities of the Iranian cinema. Since 2001, Kiarostami has been involved in a love affair with a small camera and, as a result, works only with digital film. 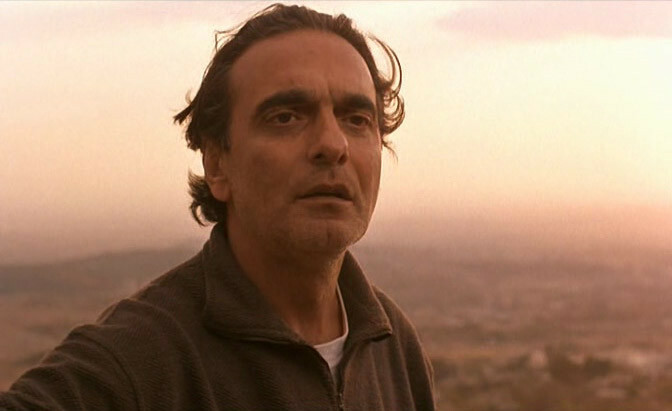 Certified Copy marks Kiarostami’s first production outside of his native Iran. Bread and Alley (1970, short), The Break Time (1972, short), The Experiment (1973), The Traveler (1974), So Can I (1975, short), Two Solutions for a Single Problem (1975, short), The Colors (1976, short), Wedding Suit (1976), The Report (1977), Tribute to Teachers (1977), How to Make Use of Our Free Time (1977), Solution No.1 (1978, short), First Incident, Second Incident (1979, doc. ), Oral Hygiene (1980), Regularly or Irregularly (1981, short), The Chorus (1982, short), Fellow Citizen (1983, doc. ), Toothache (1983, short), First Graders (1984, doc. ), The Key (1987), Homework (1989, doc. ), Close-up (1990), Life and Nothing More (1992), Through the Olive Trees (1994), A propos de Nice, la suite (segment “Reperages”, 1995), Lumiere and Company (segment, 1995), Taste of Cherry (1997), The Wind Will Carry Us (1999), ABC Africa (2001, doc. ), Ten (2002), Five Dedicated to Ozu (2003, doc. ), 10 on Ten (2004, doc. ), Tickets (2005), Roads of Kiarostami (2006, doc., short), To Each His Own Cinema (segment “Where Is My Romeo?”, 2007), Shirin (2008), Certified Copy (2010), Like Someone in Love (2012), Venice 70: Future Reloaded (2013, doc. ).